October 2018 - Perry Hood Properties, Inc.
As the days grow shorter, the leaves start to change colors, and we begin to reach for our sweaters, that can only mean that Halloween is right around the corner! While this is a time for spooktacular fun, it’s also time for homeowners to make sure that their properties are safe for trick-or-treaters to enjoy. Here are four simple tips to ensure that the outside of your home is scary for the appropriate reasons. If you live in a residential neighborhood, there’s a good chance you’re going to be getting a lot of adorably spooky visitors to your door in search of goodies. In order to save a lot of frustration as well as to keep the kiddos safe, you may want to consider propping open any extra storm doors or screen doors for the evening. Not only will this save you a lot of extra hassle when lugging your bowl of candy to the door, but it will reduce the likelihood of swinging your door open into children who may already have limited visibility due to Halloween masks and darkness. To be even safer, many suggest setting up shop with a patio chair and staying out on your porch, but if you’d rather stay indoors, take note of how your screen door can hinder traffic. While keeping the entryway to your home safe is a good idea all year round, the likelihood of someone being injured on Halloween goes up significantly with the increased traffic, darkness, and visibility-limiting costumes. A few nights before, test the safety of your home’s entrance by approaching it after dark as any child would. Check to see if any steps are loose while making sure to test the load-bearing nature of any railings. Be sure to perform the appropriate maintenance on your entryway well before any trick-or-treaters arrive. Traditionally, the illumination of candle-light would bring Jack-o’-lanterns to life with festive fright, but then again, traditionally, paint contained lead and Coca-Cola contained actual cocaine. The point is that times have changed and so should the safety of your illumination! Placing LED candles in your pumpkins this year is not only safe and fairly reminiscent of flickering candlelight but LED tea lights can be reused year after year. LED lights are also dirt-cheap – most can be found at a dollar store. Most importantly, there is no fire danger with these modern marvels of radiance. You probably modified your porch lighting a bit to bring out a scary ambiance, but the real fright is what can happen after the little ones are gone – vandals. Crime statistics show that property crimes increase by as much as 24% on Halloween, including vandalism, malicious mischief and theft. You can protect your property and belongings by keeping your home well-lit after trick-or-treating hours are over and keeping your car parked in the garage. Bring in any decorations or other easily movable items. The following morning, make sure to inspect the outside of your property for any damage or theft. 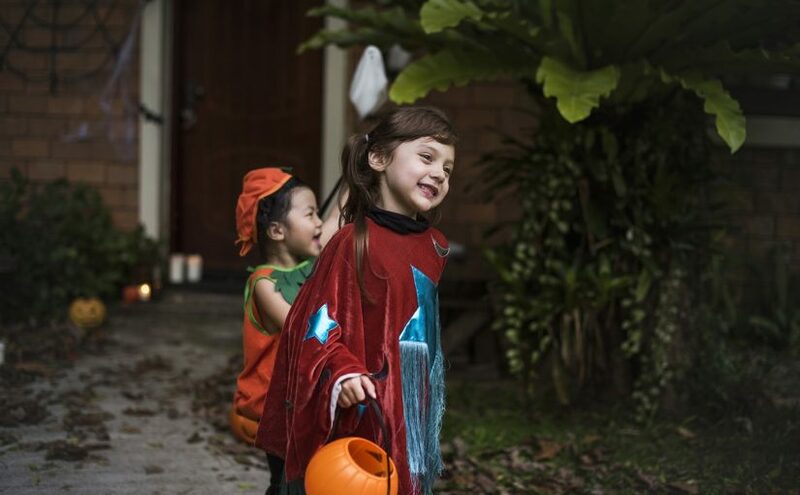 Halloween is meant to be a delightfully frightening time of year for kids and kids at heart, but by abiding by your own common sense and these tips, you can ensure that the delight overcomes any actual fright.